If you put a little too much salt in your soup, don’t panic. 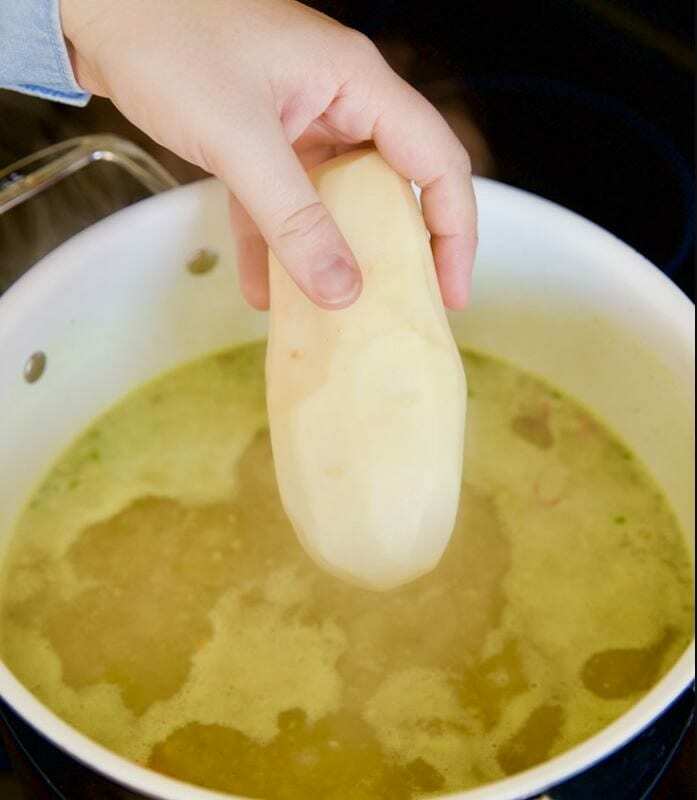 Drop a peeled potato in the soup and allow it to cook for several minutes, then take it out. It will absorb some of the salt and help fix your soup. Rice is sometimes hard to cook. It can easily burn on the bottom and then ruin the flavor of the entire pot. 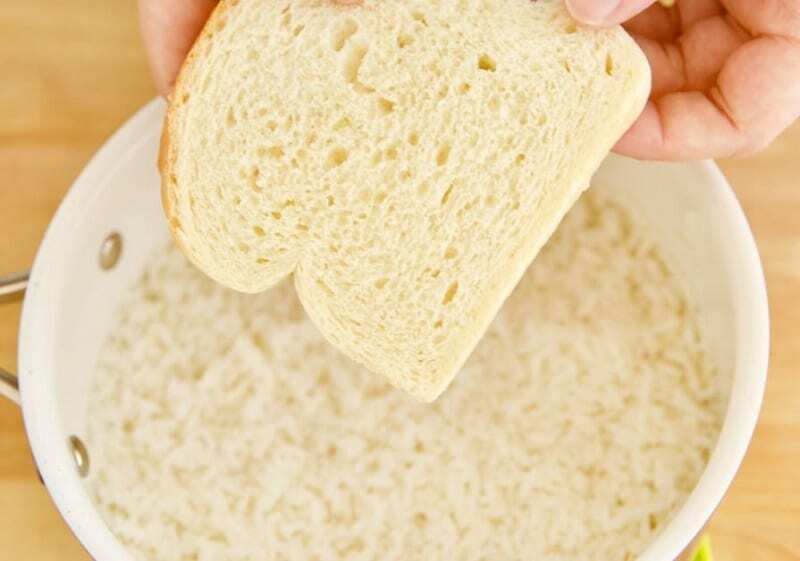 Before you scrap the pot, place a piece of white bread on top of the rice for a few minutes. It will absorb the burnt flavor and save the rice that is not stuck on the bottom. 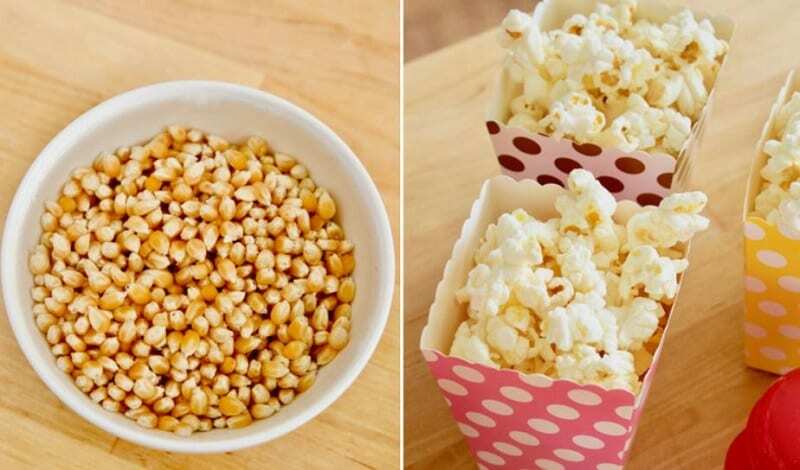 Have you ever noticed that when you pop popcorn, some of the kernels don’t pop? 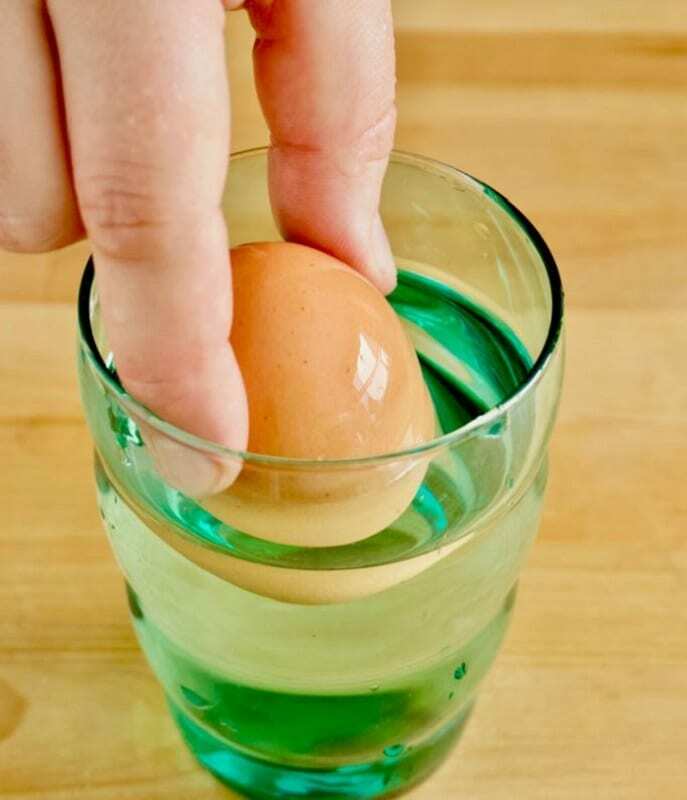 You can make more of them pop by soaking them in water before you pop them. This will allow the kernels to open up and pop more easily. There’s nothing worse than forgetting about your potatoes and then finding out they have sprouted. 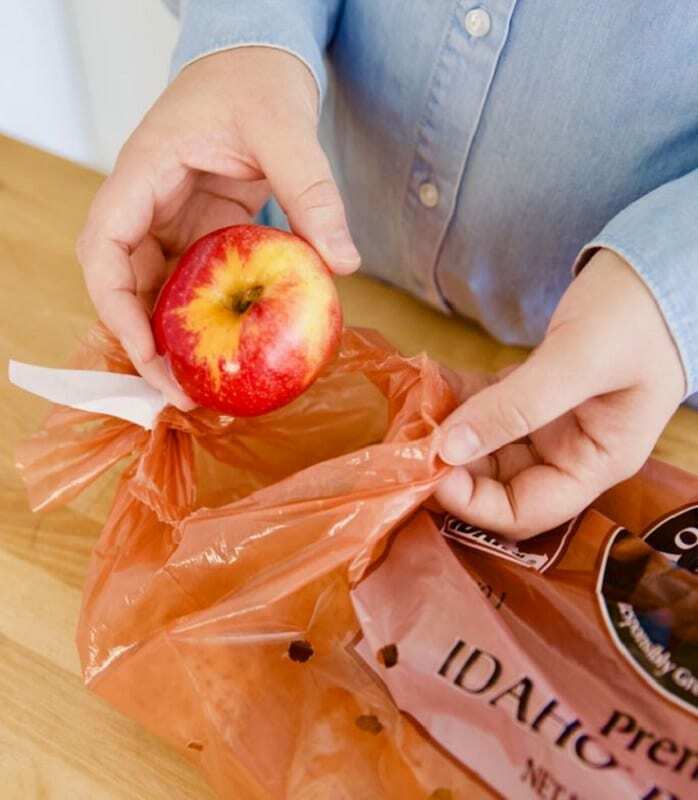 You can stop them from sprouting so soon by dropping an apple in the bag with the potatoes. The apple will stop them from sprouting. 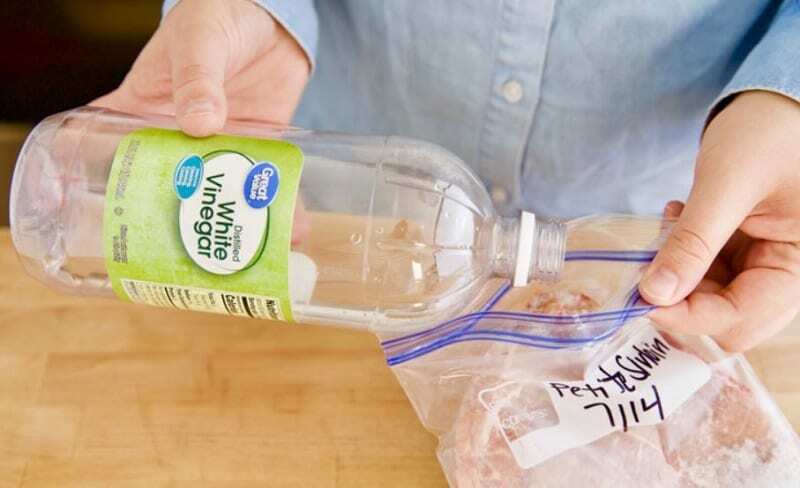 If you want to defrost your meat quickly, you can do so by pouring vinegar on the surface. 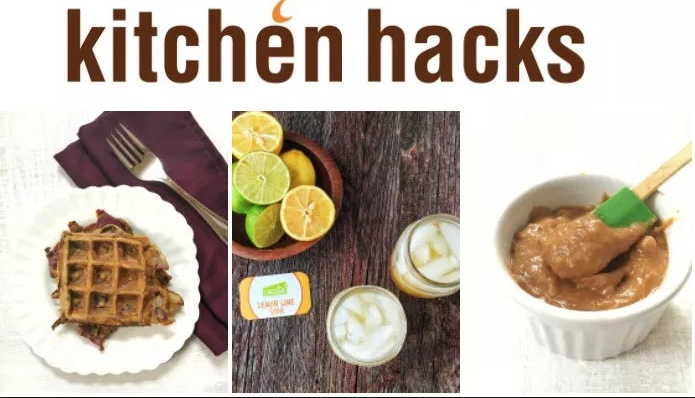 It will help melt the ice and bring your frozen food back to life. Just rinse it before cooking to remove the vinegar. If your sauce or soup is looking too oily, there’s a way to take some of the oil and grease out of it. 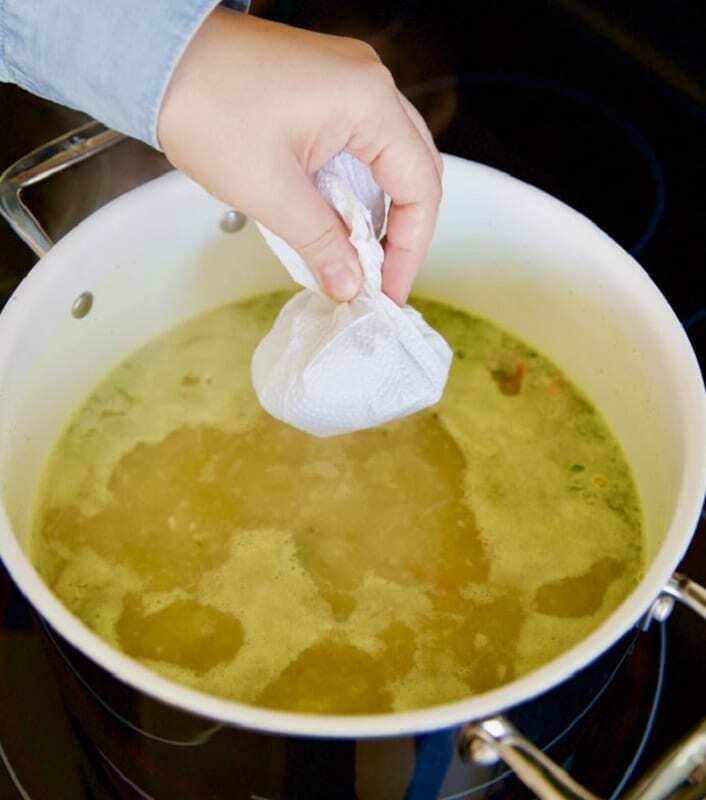 Just wrap some ice cubes in paper towels and drop them into the soup or sauce. They will pull the excess oil and grease right out of the dish. If you make your sauce too runny, it can ruin a dish. 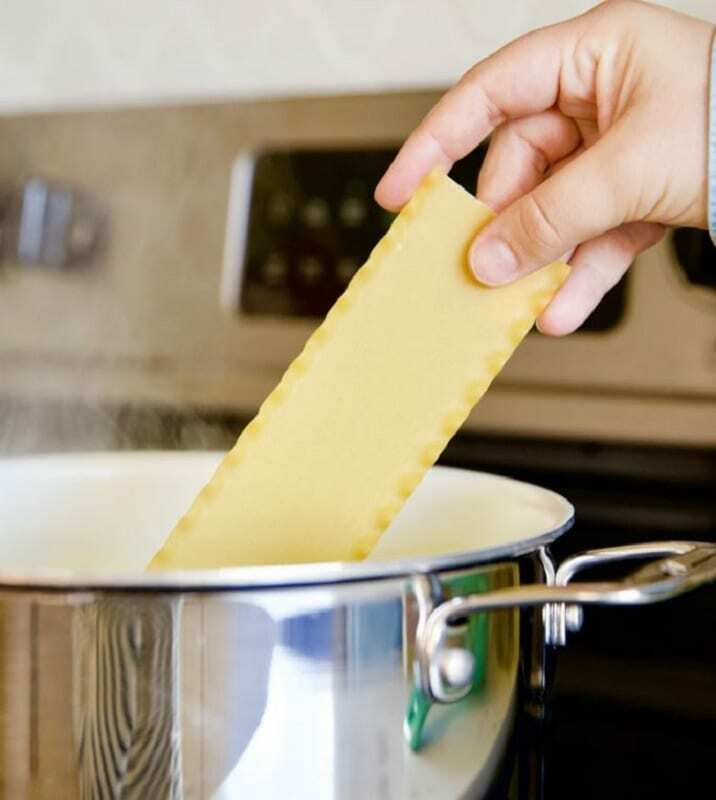 You can thicken it by simply putting a lasagna noodle into the sauce. It will absorb the excess liquid and help make the sauce thicker. Toss the noodle out before serving. When you put your ice cream in the freezer, it can collect ice and get a crusty top. Nobody wants to eat that. You can avoid this by putting a piece of wax paper on the ice cream before you put the lid on. Take the lid off when you are ready to eat it, peel back the wax paper, and enjoy soft ice cream. Nothing is worse than a cake that sticks to the pan. You can prevent this by simply setting the cake pan on a damp towel when it comes out of the oven. Flip the pan, and the cake should come right out. It will save your cake and your frustrations. 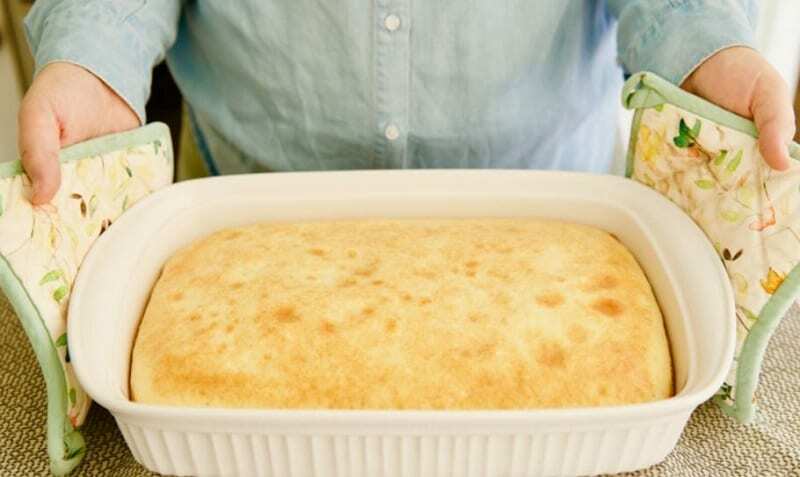 When you are baking, it’s best to have your ingredients at room temperature. Sometimes, you forget and don’t take them out of the fridge in time. You can warm them quickly by wrapping them in plastic and putting them in a glass of hot water for a few minutes. If you like to roast veggies and other foods, you know that you have to flip them halfway through. 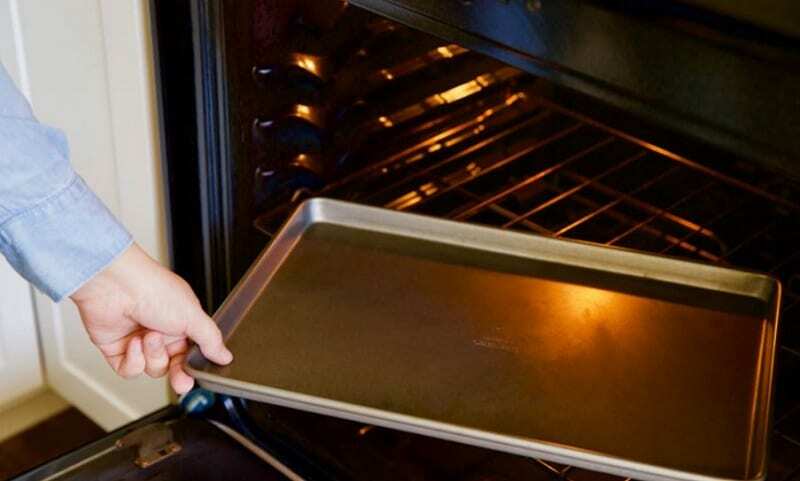 You can avoid this step by simply preheating your baking sheet before adding the veggies. Itwill make sure both sides are evenly roasted and delicious. 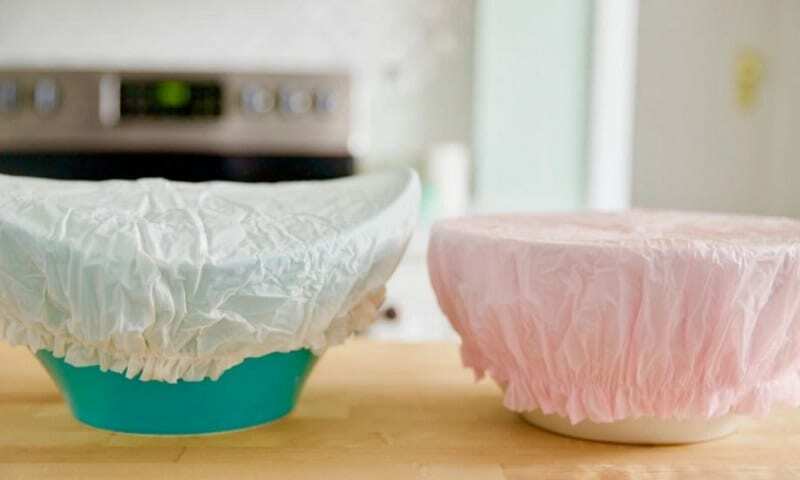 Don’t waste plastic wrap and aluminum foil to cover your foods. Use shower caps instead. The elastic band around them makes it easier for them to fit on bowls and containers. You can just rinse them clean and reuse them, too. Plastic wrap can be frustrating to work with. It never wants to peel up from the roll, and when it does, it tears or is hard to rip in a straight line. There’s an easy way to fix it, though. 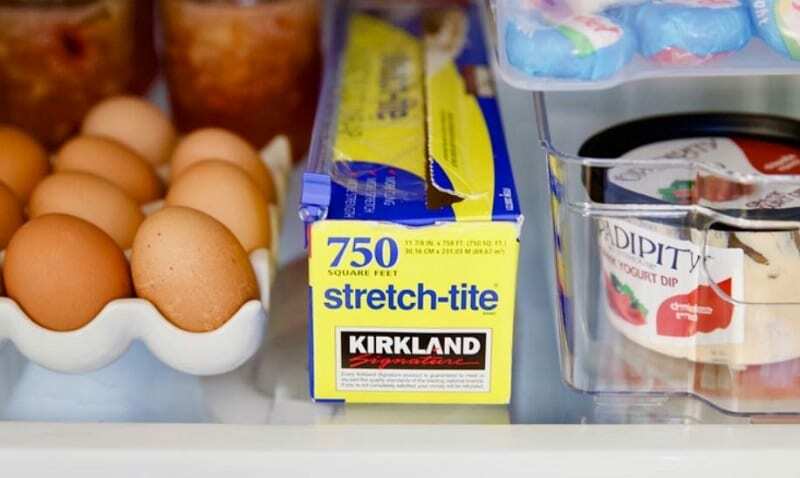 Just put your plastic wrap in the fridge. When it’s cold, it’s easier to work with. If you found this helpful please SHARE this with your friends and family!